Our gallery is filled with framed and unframed art. From posters, to limited edition prints, to canvas art prints, to original photographs, our selection is amazing. We carry work by artists Stephen Whittle, Barbie Tidwell, Charles Peterson, Kathleen Cantin (One of our personal favorites. Her etchings are gorgeous!!!) to name a few. 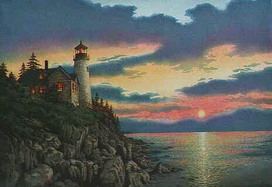 We have prints from classic artists like Monet, Van Gogh, Norman Rockwell, etc. We also have a library of catalogs from several publishers, allowing you to sit on our comfy couch and browse through at your leisure.